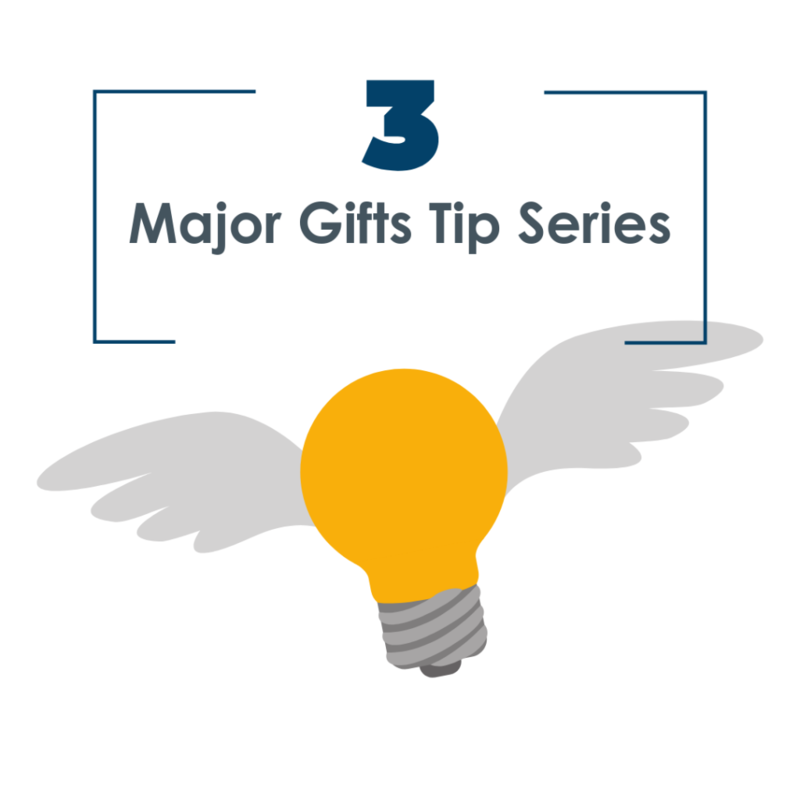 I hope you are enjoying this email series I’m sending to help you succeed in major gift fundraising. It’s a lot of food for thought, so take some time to digest it. 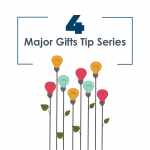 Focus on major gifts, and you’ll get the largest return on your investment of time and energy. Today we are talking about courage. Specifically, the type of courage you need to get out of your office and go make friends with major donors. Yes, this can be frightening. I hear lots of people saying that they are simply nervous. I totally agree! But you CAN gain complete confidence when dealing with high net worth donors. It used to feel like the donors were high up on a hill. Far, far away from me. The distance was so great. The gap between us was so wide. I was so young. They were older and so prominent. To make matters worse, I had this huge fundraising goal hanging over my head! Does this discomfort tend to keep you and your colleagues stuck in the office? Is this the secret reason you hide behind your email rather than getting out for donor visits? Listen, I completely understand. You are perfectly normal. You just need some support. This is why we created Major Gift Coaching. To help smart and capable fundraising teams develop their confidence, and learn the skills for successful major gifts. Coaching will guide your team to build a systematic, major gifts program complete with monthly goals. To help you, here are my favorite tips to develop confidence when approaching major donors. So let’s start now by developing your confidence for major gift fundraising. Here’s what you need to master in order to be successful at major donor relationships. 1. How to ask for an appointment so that your prospect will say “yes” to a meeting. Present you to the donor as a likable, somewhat interesting person. Be cordial and friendly – and strike the right tone between social and business. Show that you respect the busy donor’s time. 2. Learn what to say when you ask for a meeting. That will probably bring you a “no, we don’t need to meet” from your donor. Above all, let your donor know that you really do value her opinion. 3. Learn how to be properly prepared for a meeting. Over and over, fundraisers tell me that when they are properly prepared, they are far more comfortable. Being thoroughly prepared will give you confidence. Know as much as possible about your donors before you ever meet them – their personality, their likes and dislikes (you can have a field day with this one! ), family, community activities, even their vacations. What does your internal research tell you? Their giving preferences and history, past relationships with people at your organization, projects they have supported? What can you find from external research? Community activities, awards, hobbies? Try to find out their philanthropic track record. Most importantly, you want to know what they are most interested in. 4. Learn how to be properly social – but not too social. This is a fine line, but you can quickly develop an instinct for how to walk it. You are cordial, and you talk about the donor’s interests, right? With practice you’ll develop your skill to gently change the subject. If you stay too social, your donor will forget what your real job is. Your organization’s latest initiative – what does the donor think about this? What’s your donor’s impression of your organization, your leadership, your overall work? What is your donor most interested in at your organization? Why does your donor support your organization? What’s your donor’s personal philanthropic vision? 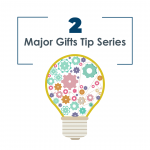 Bottom line: Training in all these skills will help you build the confidence you need to be successful at major gift fundraising. This is how you begin to build lasting, productive and enjoyable relationships with your donors. And remember our Major Gift Coaching closes out on February 15th.